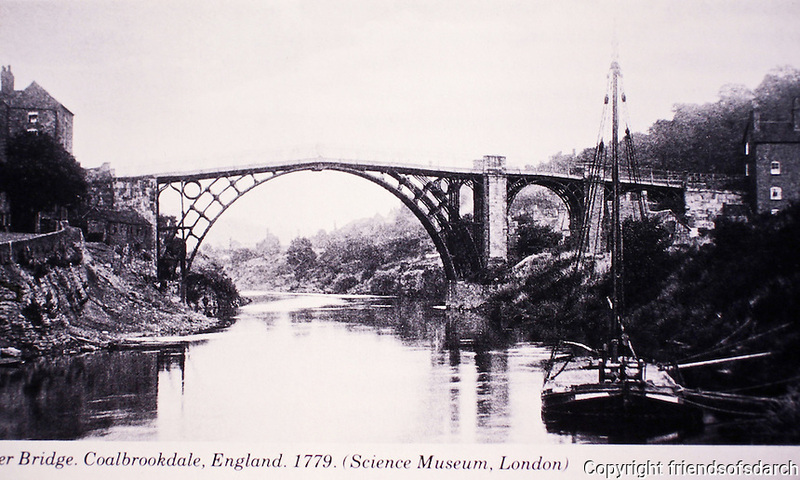 Historic photo of Iron Bridge in Coalbrookdale, England, 1779. Designed by T.M. Pritchard, Architect. Built over the River Severn. 1st cast iron bridge.